Our team specializes in diagnosis and non-surgical treatment of orthopedic conditions, sports injuries, and concussions. Dedicated to restoring your health and getting you back to your life's activities. Offering the nation's most advanced stem cell and platelet procedures for common joint injuries & degenerative conditions. Welcome to Mountain View Rehabilitation – Sacramento and Northern California’s Leaders in Stem Cell Therapy and Regenerative Medicine. At Mountain View Rehabilitation, we specialize in stem cell therapy and regenerative medicine treatments for orthopedics. We’re in the business of getting our patients moving again. For all of us, young or old, having our limbs and joints moving as they should is fundamental to enjoying life to its fullest. We specialize in nonsurgical orthopedics, diagnosing and treating injuries that affect our patients in their day to day lives. Whether you’re a competitive athlete, a weekend warrior or just want to gain back lost mobility and freedom of movement, we can help. Unlike a lot of clinics, we understand how important it is take the time to thoroughly evaluate each and every patient. This includes assessing their neuromuscular system, joint articulation and any bio-mechanical deficiencies that can lead to injuries or degenerative conditions. Once evaluated, we establish a plan to address any issues, which may include physical therapy; we feel that exercise is medicine, and is a critical component in the comprehensive approach to healing. If conservative treatment alone is not adequate, interventional injection treatments are considered. We use the most effective nonsurgical treatments available, including the family of Regenexx® procedures. Regenexx® stem cell therapy and platelet procedures are the world’s most advanced, nonsurgical orthopedic injection therapies for common joint injuries, including tendon and ligament injuries such as rotator cuff tears, and degenerative conditions, such as osteoarthritis. We also provide more traditional injection and interventional treatments for pain. For all of our interventional treatments, we use fluoroscopic and ultrasound guidance in order to treat the injury with precision. Let Mountain View Rehabilitation get you back to moving healthfully and happily. Orthopaedic medicine is a specialty devoted to the evaluation, diagnosis and non-operative treatment for pain caused by musculoskeletal diseases to aid in pain management. Diagnostic modalities include a comprehensive history, a detailed and specific physical examination, radiologic evaluations and local anesthetic blocks for pain treatment. Therapeutic modalities for pain management encompass manipulations, corticosteroid or proliferant injections with and without fluoroscopic guidance, therapeutic exercise and use of pharmaceutical, nutriceutical, herbal and/or homeopathic based pain treatment. 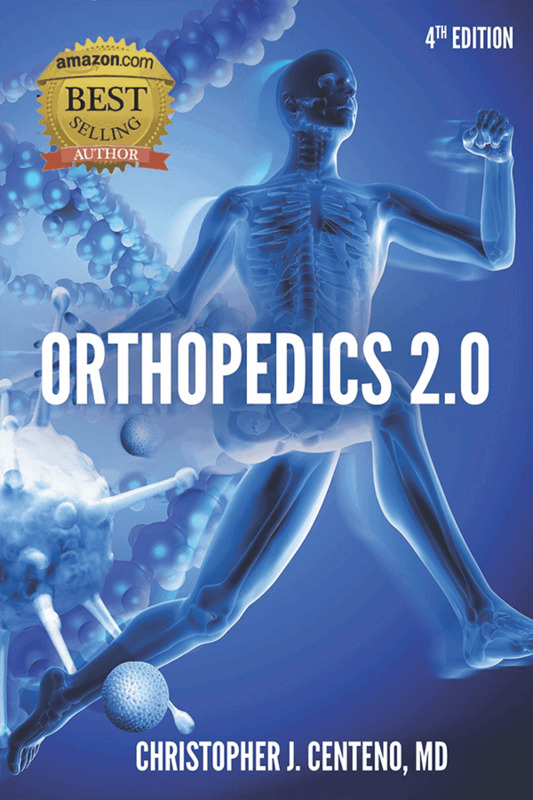 The evolution began in 1741 when Nicholas Andre, at that time a Professor of Medicine at the University of Paris, coined the word “orthopaedic”. He published a book with the same title. The etymology of orthopaedic is based on two greek roots: “orthos” and “paedia” which translate to “straight” and “rearing of children” respectively. His illustration of a staff that is used to straighten a growing tree is known world wide. For more than two centuries orthopaedists were physicians or surgeons concerned with musculoskeletal deformities: scoliosis, infections of bones and joints, poliomyelitis and congenital defects such as Erb’s palsy, clubfoot and hip dislocations. Until the 20th century most orthopaedic treatments were manipulations and mechanical support with braces and plaster casts. The American Orthopaedic Association was founded in 1887. The separation of orthopaedic surgery from general surgery took place in 1934 with the establishment of a separate board. According to the late Dr. Cyriax, orthopaedic medicine was established in 1929. The American Association of Orthopaedic Medicine was founded in 1982. The accumulation of knowledge remains constant. The evolution of pain management continues. We use advanced imaging guidance for diagnostics and to ensure cells are placed in the exact area of need. Studies have shown that even in easier to inject joints like the knee, experienced physicians injecting blindly in the office can miss the joint up to 14-45% of the time (depending on approach and the severity of arthritis). This means that injecting without imaging guidance (blind) will have stem cells get into the knee joint in some patients only about half of the time. Stem cells that aren’t in the knee will have no effect on the knee. The accuracy in other joints is often worse, because the joints are smaller or have more soft-tissue. The diagrams above are from a recent study where the stem cells were placed blindly into the joint (intra-articular) versus exactly on the lesion (local adherent). The control was just injection of saline, which is far left. Notice that the purple stained cells on the surface are new cartilage cells (the blue cells under that are bone). The control shows little change. The intra-articular blind injection isn’t much better, and when the cells are placed directly on the specific damaged spot within the joint (far right local adherent) we see good cartilage repair. The same would hold true to injecting cells into a specific tendon, ligament, part of a meniscus, labrum, etc. Additionally, one problem for collecting bone marrow stem cells is that the area at the back of the hip where they are harvested has some pitfalls. If the doctor performs this type of collection without imaging guidance (blind without using either fluoroscopy or ultrasound), the chance of taking cells from the wrong area goes up dramatically. In this area of the back of the hip, there’s a paper thin part of the pelvis that if tapped by the doctor, will almost always result in a blood collection only, rather than a bone marrow aspirate. Precision is the key to a Regenexx physician’s ability to maximize stem cells during the harvesting procedure. Specializing in the non-invasive treatment of a broad spectrum of sports related injuries. Stem cell and platelet procedures for joint injuries and degenerative conditions. The Blood Injections That Might Transform Orthopedics – The New Yorker. No More Knife: The Stem-Cell Shortcut To Injury Recovery | Outside Online. Serving Sacramento and Northern California’s Premier Orthopedic Stem Cell Treatment Center – Grass Valley, CA Office.